Mestre Branco (Januy Santos Reis) was born in 1970 in Bahia and discovered Capoeira at the age of 10 with Mestre Maravilha and Luciano in the popular neighborhood of São João (Salvador de Bahia) in Brazil. 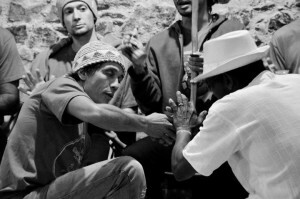 He spends time with capoeiristas such as Luciano, Adeleso Joao (brother of Luciano), and Caverinha, who met in the street rodas of Largo São Francisco. Capoeira was present throughout his neighborhood where there lived a Capoeirista named Bigode de Arame. At that time, even in these areas that were isolated from the influence of tourism and where the authorities had little interest, capoeira was marginalized, and many capoeiristas got into trouble with the police. Violence in the community was very common. Later, when Mestre Maravilha died suddenly, the Branco family moved to the Periperi neighborhood where Mestre Branco continued his journey with capoeira. In 1989, after leaving the Navy he began a Capoeira initiation with labor-oriented street children with the agreement and support of Luciano, who was then suffering. He moved in France in 1992 and created in Nantes the group Ginga Nagô, informally, in order to share his culture and keep alive his traditions. Capoeira is then still little known and developed in France. It was Mestre Branco who first presented this art in the west of France on the occasion of the centenary Bélem. The continuity of his lineage and his teaching has continued with the promotional activities of capoeira and the graduation of his oldest students, who now ensure the continuation of the essence and identity of Ginga Nagô. In 1995 the creation of the Ginga Nagô association became official and its management taken up by the PAU BRASIL association. Branco also started working with students in Malakoff, a difficult neighborhood of Nantes. Over the years, multiple classes for children, teens and adults were developed and enhanced by the group. In 1998-1999 Januy was involved weekly in St Similien college and Nantes University Theatre, in partnership with the Cultural Service of the University. During the summer of 1999, he co-directed, along with Mestre Armando Pequeno, a Capoeira European project in Europe, including the cities of London, Barcelona, and Amiens. He made the first capoeira internship in Romania, Cluj. Ginga Nagô also organized Brazilian cultural events for the Committee of the World Cup Soccer in 1998. In 1999-2000, because of the increasing demand of students and associations, Gingab Nagô expanded geographically, teaching weekly in Montjean sur Loire, near Angers and Poitiers. Branco always invested in training his students without forgetting his roots, which helped his students also to grow further. He started the “Rodas Solidaires” which would collect toys, clothes and school supplies each year in France and then distribute to Brazilian children in Itaparica and Salvador de Bahia. In 1999, Branco also started the First International Capoeira Meetings, which has grown to become an internationally renowned festival taking place annually. 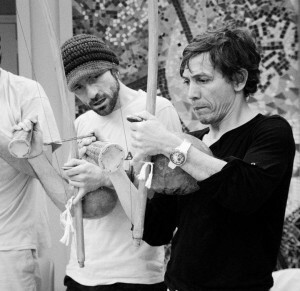 In 2001-2002, the first courses of Capoeira began in Vendée, the MJC de Montaigu, Montlouis-sur-Loire, Reze and Carquefou. In total, the group had more than 300 students. Branco was invited during the summer internship at Marcevol by Mestre Samara Afonso Vida Nova for the first time and would then be involved in each gathering. In 2003, Branco started new courses in Ancenis and Saint Nazaire, while also holding the 4th International Meeting of Capoeira in Nantes, Tours and Poitiers. During this International Meeting, Branco decided to break with the graduation system, considering it an unsatisfactory system for the direction given to his teaching. In 2005-2006 Branco regularly returned to Salvador de Bahia, where he continued to develop his social work with children and adolescents in Itaparica. He began to focus on setting up a Centre Alternative, in order to develop freely and permanently different cultural, artistic and educational activities. 2005 was also the year Branco graduated two of his former students: Aruera and Canario. 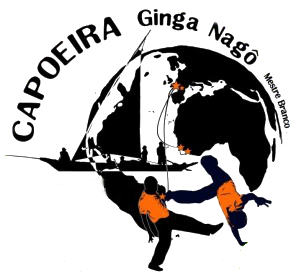 2007 was a year of emotion and joy for the group Ginga Nagô, where, during the 8th International Meeting of Capoeira and Brazilian Popular Arts, all the capoeira masters honored the work of Branco. Mestres Bigodinho, Raimundo Dias, Armando Pequeno Salvador, Brasilia and Zulu, and Mestre Aranha of Rio de Janeiro consecrated Mestre Branco for the quality, richness and tradition of his work and for his personal integrity. Mestre Branco also graduated three other students who had been following the Capoeira path for many years. These students included Boca, Adao and Largatixa, who respectively led classes in Toulouse, Ancenis and St Jean de Mont. Throughout his life, Mestre Branco’s commitment and involvement contributed to the innovation and evolution of his knowledge and teaching, while respecting the traditions. He has increased capoeira initiatives around Brazil for all his pupils and teachers by generating genuine enthusiasm about the art of living that is capoeira. His rich complementary knowledge of capoeira has offered students a comprehensive training around both folk and popular traditions of the Northeast Brazilian capoeira, such as Puxada Rede, Maculelê, Samba de Roda, and Afro Brazilian percussion and dance. 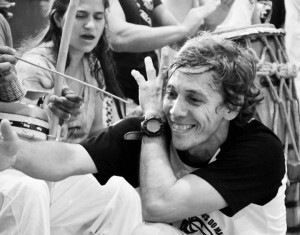 Mestre Branco has built and strengthened a network around capoeira and has constantly worked with teachers and friends who are all looking to preserve the integrity of capoeira and its traditions. Many Mestres of great quality now surround him in his path, including Armando Pequeno, Samara, Bigodinho, Raimundo Dias, Angolinha, Zulu, Aranha, Marcelo Angola, Leopoldinho, Olavo, Viera, Chita, Eduardo Storti, Fubuia, Afonso Vida Nova, Carlos, Chapeu de Coro, Oropendola , Foguete, Claudio Campos, Bizzaro and many others.